With all the talk about “democracy” these days, it’s surprising how little time is spent concentrating on the concept of democracy itself, its history and justification as a form of political governance. Democracy for Beginners looks at democracy’s rich evolution in its varied forms, and at some of the challenges democracies face today. Beginning with the rise of democracy in fifth-century Athens and ending with an exploration of what the future might hold — for example the notion of “e-democracy”— Democracy for Beginners is an important resource for understanding the foundation on which our country stands. Readers will become familiar with ideas advanced by democracy’s advocates and architects, and by its critics, from Plato to contemporary social choice theoreticians. 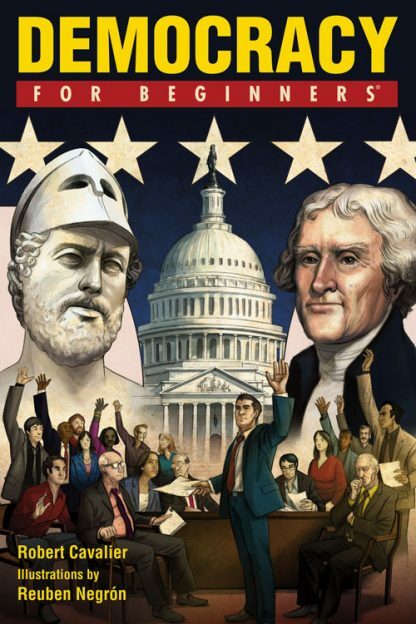 Democracy for Beginners is the perfect introduction to the United States of America's founding principles.